Every two minutes, a child is diagnosed with cancer. That's about 46 young people, or 5 fields of little leaguers each day. Although survival rates have increased, there is still work to be done and more lives to be saved. At the Pediatric Cancer Research Foundation (PCRF), we have spent the last 35 years fighting to improve the care, quality of life and survival rate of children with cancer. It is our hope that through dedicated research, education, and fundraising campaigns like NVRQT, we can one day end childhood cancer forever. 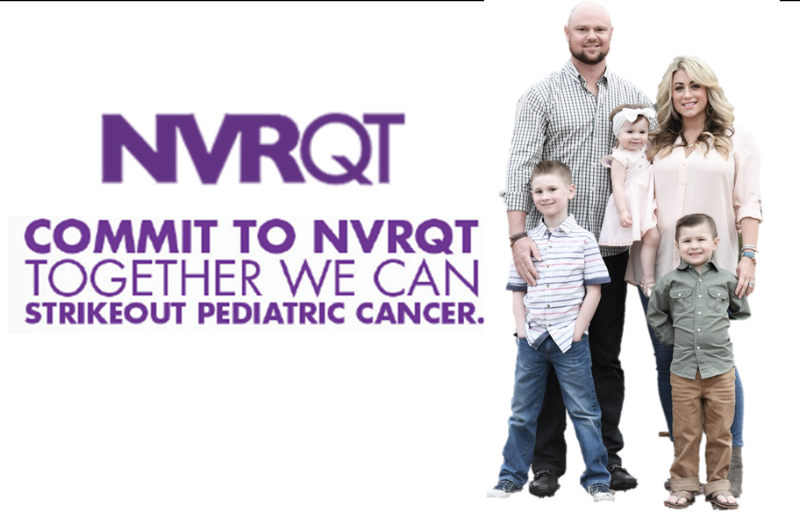 We stand together with a NVRQT rally cry against pediatric cancer. Cancer knows no boundaries, and neither do we. JON LESTER’s FIRST Public Autograph Signing as a CUB!!! ONLY 100 TICKETS WILL BE SOLD!!!!! Your chance to add him to your prized 2016 Cubs Collectibles!!! 100% OF TICKET PROCEEDS GO DIRECTLY TO LESTER’S NVRQT CAMPAIGN!!!! Each Ticket includes an Autograph and 16 WS Champs inscription if requested. Only 100 Tickets – THIS WILL SELL OUT!!! Due to time constraints, there will not be posed pictures, but you are welcome to take a picture of Lester signing your item. This all-white baseball serves as a symbol of hope for children diagnosed with cancer. Learn more about the NVRQT Ball. What we do matters. Read how your efforts are making a difference in the lives of kids with cancer.